SATS' 4Q18/FY18 core profits were flattish at -0.2%/+0.8% y-o-y, lower than we expected due to some pricing pressure in food solutions and slower-than-expected growth at TFK Japan. That said, volume trends and cost-control measures were positive. New ventures to drive growth over the next 3-5 years are progressing on track. We tweak FY19E/FY20E profits by -1.9%/+1.2% and correspondingly adjust Target Price by c1% to SGD6.15, still based on 21x FY20 EPS (equal to 1SD over 5y mean). Management had guided at the beginning of FY18 that it would be a challenging year for costs with license fee incentives for Changi Airport expiring March 2017 along with various other Government incentives also expiring during the course of the year. These factors would result in c2.5-3% increase in cash operating costs by our estimates, ceteris paribus. Nonetheless, the company managed to keep FY18 operating costs flat y-o-y with cost rationalisation and productivity initiatives aided somewhat by softer raw material prices. Underlying operating statistics for the group remained solid. For FY18, passengers handled grew 5.4% y-o-y, gross meals rose 4.3% and cargo tonnage increased 6.5%. And while flights handled decreased 3.2% y-o-y, it would have grown by around mid-single-digit levels if not for the deconsolidation of SATS Hong Kong last year. Growth for TFK Japan has been a problem in recent quarters, with lower flight frequency from one customer and the loss of another, but management states that a couple of new customers are on-board now and the outlook should improve. We remain bullish about the growth outlook for FY19-FY21E from a number of ventures in new areas and markets in the pipeline that should start contributing. Additionally, Changi Airport’s recently opened Terminal 4 with c16m passenger capacity provides organic growth potential in SATS’ home market. SATS' 4Q18 / FY18 reported results were in line with our forecasts but contained some one-off gains; excluding the gains, core profits were below our expectation (FY18 core profit of SGD236m vs. our forecast of SGD259m). We believe the core profit numbers was below street expectations as well given our estimates were c1-2% above consensus. SGD4.5m write-back of earn-out consideration in early 2Q18. Operating statistics were generally healthy in line with the growth seen in the APAC aviation market. Singapore saw some pricing pressure in food solutions – we assume likely from some contract renewals in the quarter. Negative growth in Japan narrowed in 4Q and there are indications that new customers have been signed-on, which should see revenues on the mend in coming quarters. Final dividend of SGD12cts was slightly lower than our SGD13cts forecast (total for FY18 SGD18cts vs. FY17 SGD17cts). Management reiterated the aim to deliver sustainable and progressive growth in dividends. On the back of FY18 full-year results and various insights from the management briefing, we have made some adjustments to our FY19E and FY20E profit forecasts that result in relatively minor changes to a decline of 1.9% and an increase of 1.2% increase, respectively to core profit. Expectation of lower growth in food solutions on the back of management indicating an increase in pricing pressure from customers. Higher level of productivity gains and cost rationalisation as FY18 operating cost numbers surprised modestly on the upside. We factored in slightly higher capex and investment in associates. The former translates into small increases to our earlier estimates for depreciation and amortisation. We raised our cost of debt funding by c30bps over the two years (in addition to our earlier expectation of a c40bps average increase) given the recent rise in SIBOR rates. We factored in a modest improvement in SATS’ Hong Kong operations (now an associate) based on indications from management that performance of the entity was improving post the deconsolidation due to Hong Kong Airlines talking a majority stake. 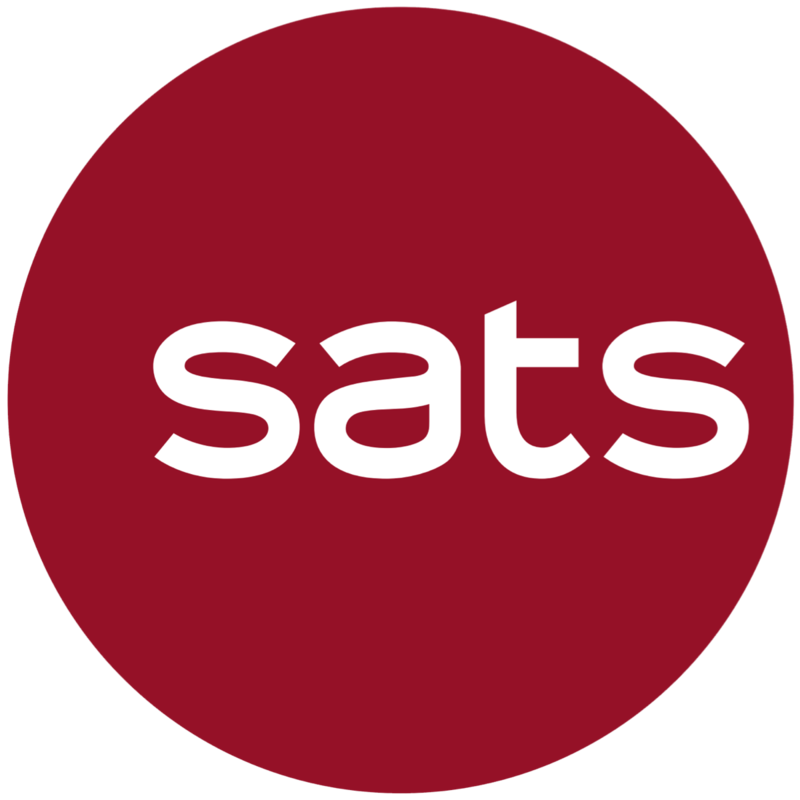 SATS has a number of relatively new ventures, many of which are in investment-gestation stages that we expect will start contributing to profit growth over the coming two years. In addition, there are existing operations that should see tailwinds of organic growth from various market developments. We highlight below the various incremental growth drivers that we anticipate. An MOA has been signed and details are being ironed out; we expect the company to be in a position to divulge more information in the next 1-2 quarters. In our view, this is potentially the venture with the largest growth potential. The airport is under construction and reportedly expected to be inaugurated in late 2018 with the first phase expected to have a passenger capacity of 90m, and when fully completed around 2030 is expected to be the largest in the world with a capacity of around 150m. For reported FYE 2016, THY carried 35.5m international passengers (to put that in perspective, it is ~12% more than Singapore Airlines for FYE Mar-2017). The ground handling joint venture has commenced operations and should start contributing from the current quarter. Passenger traffic in Malaysia has been growing in the high single to low double digit level since 2011 and for SATS the immediate opportunity lies in airports, like KLIA, Penang, Kuching and Kota Kinabalu that have both high traffic throughput and where AIRA is amongst the leading operators in terms of flight frequency. The JV can also competitively target the customers of other airlines that lack adequate economies of scale at these airports. Over the longer term it plans to explore gateway services opportunities in other several regional markets. SATS is building a greenfield cargo terminal in Dammam and is the first foreign firm to enter the market. Dammam is a fairly busy airport in the Middle East and, according to industry periodicals, handled around 9.4m passengers and 95,000 tonnes of cargo in 2015. Management indicated that while the new facilities will take some two years to build, SATS has already been able to secure temporary cargo facilities and sign on a large airline customer, ahead of plan. It is in discussions with other potential new customers as well. SATS has a 49% stake in the JV and the concession, which runs for 18 years starting April-2018; the JV will manage the international cargo facilities at Mumbai’s international airport, amongst the country’s busiest..
A key non-aviation initiative to start and operate a large-scale commercial kitchen in China. Its first kitchen is reportedly ramping up well with c18-20 customers already on board since commencing operations mid-2017. Management indicated that the performance is ahead of plan based on their initial expectations of around three years gestation to profitability. Construction for the second is in the planning stage. JV with DFASS tapping on travel retail spend: This venture with Singapore’s Duty Free licensee allows SATS to tap into the growth potential for inflight duty-free and duty-paid sales, mail order service, and ground-based duty free and duty-paid retail sales in Singapore. Importantly, it leverages on SATS’ existing capabilities and assets in providing inflight services that involve bar-cart packing, warehousing and cabin loading, and entails minimum new investments in capex and capabilities. Brahims Airline Catering investment: While this late-2015 investment had a slow start in generating returns given its largest customer, Malaysian Airlines was undergoing financial restructuring, management indicated that the venture has been profitable for the past few quarters and, importantly, the outlook for inflight meal volumes is looking up. SATS Hong Kong: The restructuring of SATS Hong Kong in mid-2017 with the entry of Hong Kong Airlines as a majority strategic shareholder with a 51% stake is a key development towards a turnaround in profitability. The key structural challenge faced by the entity was being the newest entrant at Hong Kong International Airport without an airline affiliation to provide base load volumes, a problem that was effectively addressed by the ownership restructuring last year, in our view. We expect losses to decline and the entity to be profitable in FY20. Changi Airport Terminal 4 capacity addition: SATS has already incurred the start-up costs for Terminal 4, which commenced operations in the fourth quarter of 2017. The terminal, which adds around 16m in passenger capacity (Changi Airport’s current total capacity is c82m passengers), will expectedly ramp up its capacity utilisation over the coming couple of years. This should allow SATS to benefit from economies of scale and operating leverage. Qantas moving its connecting hub for UK flights back to Singapore: After a hiatus of five years, Qantas, an existing customer, moved its hub for UK-bound flights back from the Middle East to Singapore starting in Mar-2018. This should be incrementally positive for SATS ground handling and in-flight catering volumes. We raise our P/E-based target price marginally by c1% to SGD6.15 from SGD6.10 due to the minor changes to earnings forecasts discussed earlier. Our Target Price basis is unchanged at a P/E of 21x FY20 EPS (equal to 1SD over its 5-year mean). We believe the current 1SD premium over the mean will be sustained and justified over the coming 12-18 months due our expectation of higher growth in FY19E-FY21E compared to the past couple of years, driving an ROE expansion of 250-300bps back to pre-GFC levels. On a calandarised basis, SATS trades at a 2018 P/E of 21.8, which is roughly a 15% discount to the Singapore industrials stocks basket and at par with a basket of international airport and aviation services companies.